Dr Ramen Goel, 59 years pioneered bariatric surgery in India and was one of the founder member of Obesity Surgery Society of India. He was professor of surgery at Grant Medical College, Mumbai and is Editor of Journal of Minimal Access Surgery (JMAS). He has contributed multiple journal articles, chapters in books and authored a book on laparoscopic surgery. He was President of All India Association for Advancing Research in Obesity and organized 5th Asia Oceania Conference on Obesity (2009). He is Director, Center of Excellence in Metabolic & Bariatric Surgery at Wockhardt Hospital, Mumbai, India. Dr Madhu Goel a graduate in medicine from B J Medical College, Ahmedabad, India. She pursued her MBBS from the prestigious Maulana Azad Medical College, Delhi and her Post Graduation from Lady Hardinge Medical College. She won the Dr. Pratibha Tewari Gold medal for the best Post Graduate student. Dr. Madhu has multiple national and international publications to her credit. She has also penned down chapters for textbooks. She has been widely quoted in various newspapers, magazines and TV channels. Dr. Madhu is a member of various medical associations. As a committed doctor, she has undergone various training programs at various centers and has also attended many seminars and conferences. She started started managing bariatric patients. She is a member of Obesity Surgery Society of India and past executive committee member of All India Association for Advancing Research in Obesity. 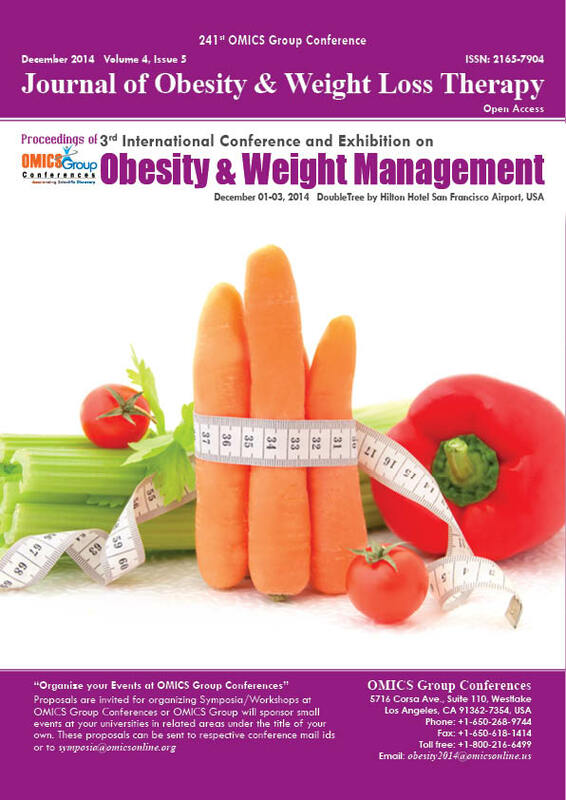 She is an invited faculty at various international bariatric meetings including Annual Conference of Egyptian Society of Bariatric Surgery at Cairo, Asia Pacific Chapter of International Federation for Surgery of Obesity, Tokyo, presented papers at IFSO, Montreal and Dubai and many Indian national obesity & bariatric meetings. 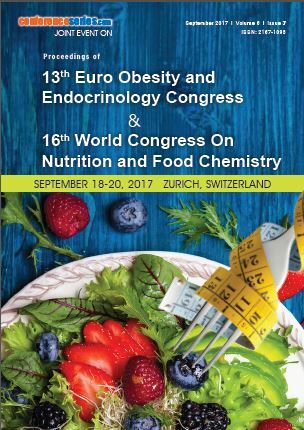 She has published papers in international journals and proposed a unique post bariatric program through portion controlled eating. Endoscopy, infertility and high risk pregnancy. Having practiced every phase of Orthodontic-Orthopedics for thirty-seven years, I moved from Brooklyn, NY to Portland, OR in August ’16. In Dec. ‘16, I petitioned the Oregon Board of Dentistry to permit Dental Professionals to provide “Weight-control” services as part of a Healthcare team (including the PCP, Dietitian and Psycho-therapist), similar to the way they currently sanction OSA/Sleep apnea services. On July 23, 2017 the Board affirmed that Weight-control was a service permitted in accordance with the Oregon Code of Dentistry. Over the course of eighteen years I have developed an appliance and protocol (OJW: Weight-control) to assist persons who manifest tendencies to eat compulsively and emotionally (CED), and who are seeking to gain control of their excessive eating habits.I currently provide this service in Brooklyn NY and have done so for the past eighteen years. I have treated 200 patients most of whom come from everywhere in the United States. I am in the process of providing this service in Portland, OR. Moreover, I teach Dental professionals how to provide the service in accordance with their state’s code of dentistry. Dr Mahendra Shah has more than 40 years of professional experience in academia – University of Nairobi and University of Cambridge, United Nations organizations and agencies such as FAO, WFP, UNDP etc and the World Bank and international scientific and policy research institutes – International Institute for Applied Systems Analysis (IIASA) and Consultative Group on International Agricultural Research (CGIAR). His professional work is concerned with food security, nutrition and health, sustainable agricultural development and international trade, sustainable development, climate change and international negotiations. In the private sector, since 2004, Dr Shah is the founder and President-Director of Zen Resort Bali where the vision is to create holistic wellness systems where guests experience the knowledge and means to achieving personal harmony with their body, mind and spirit through healthy nutrition and diet in combination with Ayurveda therapy, yoga, meditation, pranayama and holiday recreational activities as well as emotional healing. We need to draw on the vast knowledge of traditional medicine from around the world and integrate this with modern medicine, recognising that a human being is a whole living organism rather than merely a combination of parts, systems and symptoms. The challenge is to deliver the right mix of preventive, restorative and curative healthcare to enhance sustainable lifestyles and sustainable human beings. Dr. Anirban Mazumdar is a Professor in Department of Endocrinology at KPC Medical College and Hospital, India and a Regional Faculty for Certificate Course in Evidence Based Diabetes Management of Public Health Foundation of India. He is also a faculty for Integrated Diabetes and Endocrine Certificate Course (IDECC), affiliated by The University of Newcastle, Australia. He received training in Diabetic Foot Diseases, in The Diabetes Ambulatory Care Centre, Dept. of Endocrinology from University of Sydney, Australia and Received training in the Epidemiology and Public Health Aspects of Diabetes Mellitus in Marathon from Greece. Dr.Perungo Thirumaraichelvan is a Bariatric, Metabolic and Gastrointestinal surgeon from Chennai, India. He is the Unit Head of the Chennai Division of the Asian Bariatrics hospital. Dr. Perungo Thirumaraichelvan obtained his MBBS degree in the year 2004 from the prestigious Stanley Medical college hospital in Chennai. His passion for surgery made him pursue his Master’s in the General Surgery from the famous Chengalpet Medical college hospital between 2006 and 2008. After graduation, he underwent his basic laparoscopic training at the Lifeline multi-specialty hospital - a high volume Gastrointestinal surgery center in Chennai. In the year 2013, he went on to super specialize in Surgical Gastroenterology and Advanced Laparoscopic Surgery from the renowned Madras Medical College Hospital, Chennai. Dr. Perungo mastered the technique of bariatric surgery at the Asian Bariatrics hospital under the able guidance of the doyens in the field namely Dr. Mahendra Narwaria and Dr.Sanjay Patolia. Asian Bariatrics hospital ,being one of the Asia’s largest weight loss surgery center with 20 years of experience and having performed more than 6000 successful bariatric provided Dr. Perungo an opportunity to hone his skills from the very best. Dr. Perungo has a surgical experience of more than 10 years. His bariatric surgical experience spans over 1000 successful procedures including sleeve gastrectomy, Gastric bypass, Revision bariatric surgeries and Metabolic surgery. He has pioneered and excelled in the novel Laprose bariatric surgery, commonly called as the “Weekend bariatric surgery which is a key hole, minimally invasive, pain free, short stay, tailor made, safe and fast track procedure. Ever since his Master’s program, Dr. Perungo has been an active researcher in the field of Gastrointestinal surgery. His research contributions have won him many accolades including the prestigious ‘Sundaram Best Paper’ award in the ASI state conference in 2009. He won the ‘Best e-poster’ award at the National conference IASGCON 2015. Moreover, in the ‘Torrent Young Scholar Award’ competition, he won the second and third prize at the zonal and the national level respectively. He is also an invited faculty to talk on Bariatric and Metabolic surgery at the state level and national level conferences. He is currently actively involved in performing various public awareness program including live television interviews. Dr. Perungo Thirumaraichelvan is also a Fellow of the Royal College of Surgeons, Edinburgh since the year 2011. In addition, he is a Registered Member of the General Medical Council, UK. Ketut Suastika MD, PhD, is an Internist-Consultant Endocrinologist, Professor of Medicine at Faculty of Medicine, Udayana University since 2002 and Guest Professor at Kobe Women University, Kobe, Japan since 2011-now. He was Dean Faculty of Medicine (2008-2013) and President of Udayana University, Bali, Indonesia (2013-2017). He is President of Indonesian Society of Endocrinology (2018-2022). He has published 36 international publications and 47 international presentation since 2010; and has been serving as an editorial board member of several international journals and become reviewer of more than 15 international journals. Dr. Mohamad Miqdady is American Board certified in Pediatric Gastroenterology, Hepatology and Nutrition. He is the Division Chief, Ped. GI, Hepatology & Nutrition Division at Sheikh Khalifa Medical City in UAE. Also an Adjunct Staff at Cleveland Clinic, Ohio USA. Expert member of the FISPGHAN Council (Federation of International Societies of Pediatric Gastroenterology, Hepatology, and Nutrition); Malnutrition/Obesity Expert team. Dr. Miqdady completed his Fellowship in Pediatric Gastroenterology at Baylor College of Medicine and Texas Children’s Hospital in Houston, TX, USA. He held the position of Assistant Professor at Jordan University of Science and Technology in Jordan for six years prior joining SKMC. Main research interests include nutritional disorders, feeding difficulties, picky eating, obesity, procedural sedation, allergic GI disorders and celiac disease. He has 19 publications in peer reviewed journals. On the Editorial Board of few journals including Gastroenterology & Hepatology. obesity, Feeding difficulties, picky eating, procedural sedation, allergic GI disorders and celiac disease. Lynn Romejko Jacobs' prior appointment (1980) to S.M.U. found her developing a passion and interest in adult fitness as the physical supervisor at the Dallas Cardiac Institute working to rehabilitate patients who had undergone heart surgery. She also spent two years as an Athletic Director for the oil corporation, the Western Company of N.A. in Ft. Worth, Texas. Designing employees' fitness programs along with coordinating incentives and benefits within the company were strategic to the success of this experience. These two experiences prepared her for a continued growth in adult fitness and wellness. Lynn joined the faculty at SMU in 1980 as an Assistant Professor and now currently enjoys the appointment of Full Professor . During her early years she designed and implemented a well received exercise program for the faculty and staff, the "Out to Lunch Bunch". She assisted Dr. Birdie Barr in implementing a comprehensive wellness program with employee benefits in the early 1980's. Teaching highlights during this period of the '80's focused on: ballroom/folk dance, corporate fitness practicum and internships for the Physical Education majors on the Corporate Fitness Track. In the 1990's, Lynn took part in a spearhead committee to design the current "CHOICES for Living Program" along with Dr. Birdie Barr and Dr. Peter Gifford. This committee designed our current wellness program that delivers two general education requirements for all SMU students-Concepts of Wellness and CHOICES II activity classes. The mission of this program is to:"empower students to make meaningful choices". Also, during this time (1990), Lynn initiated the wellness experience out at the SMU in Taos, Fort Burgwin Research Center in Taos, New Mexico, one of the SMU auxiliary campuses. She designed and developed the course "Mountain Sports" which is still sought after by many SMU students when studying at the Taos campus. She also initiated the indoor cycling course,"spinning" for the CHOICES II activity curriculum. Along with Dr. Peter Gifford, Lynn helped to create and develop a new major, Applied Physiology and Sport Management (September 2007-present). During this time, she was named the Director of Applied Physiology and Enterprise (concentration of the major, Applied Physiology and Sport Management). She taught the courses in Nutrition and Applied Physiology and Enterprise along with supervising the majors' internships for the Applied Physiology and Enterprise concentration. Lynn is also the advisor for these majors. Awards Lynn finds meaningful to her spanning years of 43 teaching are: Distinguished University Citizen Award, Southern Methodist University (provost's office, May 17, 2008- given once a year to faculty that have distinguished themselves through service within the university and out in the community); Hope Award for teaching excellence, S.M.U., 2003; Sam Taylor Fellowship scholarship, October, 1982 and the Outstanding Big Sister Award for Tarrant County, 1981. Dr. Peter Gifford and Lynn designed a research project, (Fall, 2009). 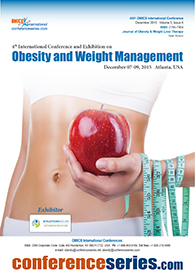 The topic: "Reality versus Perception: Percent Body Fat and Body Mass Index Scores in College Student". Some of Lynn's earlier research relates to her current research pursuits: "An Analysis of the Somatograms of the Reference Woman, Young Caucasian Women (ages 20-24) and Young Hispanic Women Currently Residing in Texas", AAHPERD Research Poster Consortium Session, April 1994, Denver, CO. Lynn's long term commitment to the SMU wellness program can be exhibited in several of her publications and presentations: "Did Wellness Work at SMU?" Health Values, Vol. 10 No. 5, September/October, 1986 (co-authored with Dr. Marilynn Barr), "SMU Wellness: the Holistic Approach" seminar at Hunt Oil Corporation, Dallas, TX. 1998, "SMU Wellness" , presentation at GTE Corporation Headquarters, Irving, TX. November 1993, "Physical Education to Wellness: Undergraduate Wellness Requirement" AAHPERD National Convention, Washington D.C., 1993, and 7th Annual Hawaii International Conference on Education, "Wellness and the College Student: Innovative Instructional Strategies and Meaningful Student Outcomes"(Gober, 2008), Academic, International, published in proceedings, January, 2009. This international conference presentation has been requested to be submitted as a possible publication to the Research in Higher Education Journal. Lynn Jacobs' Teaching Philosophy "I absolutely love the dynamic exchange between student and teacher not knowing quite how any session in the classroom will end up. The possibility of me as the teacher changing a space in the world so that the students I taught are different than they were before I taught them amazes me. I do have an unshakable belief in the individual's capacity to learn and change. Teaching is igniting one to think and live differently. This belief has kept me in the profession for thirty- six years. Yes, it is a transformative experience through a creative relationship. Both teacher and student are transformed; both are learning partners and facilitators of the process. No longer in education is the scenario the sage on the stage; it is the guide on the side. Teachers can no longer hide behind the podium." Education: B.A. Southern Methodist University, 1974, Texas Secondary Teaching Certificate in Physical Education, Health and Speech Arts M.A. Southern Methodist University, 1978 Ph.D. Texas Woman's University, 1989, Kinesiology (exercise science emphasis) Dissertation: "An Analysis of the Somatograms of the Reference Woman and Young Caucasian Women (age 20-24 years)" Reference Woman of the 1940's (Behnke's) with Reference Woman of the 1980's. The research focuses on comparing body type differences expressed through somotagrams (circumference measurements). Current Professional Licensures and Certifications: "Primary Group Exercise Certification", Aerobics and Fitness Association of America, National. (February 2007 - Present). Lead adults in group exercise with safety and sound biomechanical and physiological principles "Adult and Child CPR&Airway Management", NOLS-Wilderness Medicine Institute, International. (March 30, 2008 - March 30, 2010). Cardio Pulmonary Resuscitation. This certificate is used while working with students in a physical setting. "Wilderness Safety", NOLS, International. (March 30, 2008 - March 30, 2010). Safety, rescue and lifesaving procedures to use in the wilderness. This certificate was used to teach in the SMU in Taos program. "Spinning License/Certification", Madd Dogg Athletics, International. (July 2005 - July 2009). I am certified to teach spinning on specialized indoor bikes and train people to improve their cardiovascular endurance. Volunteer Work: Mentoring of a Sudanese refugee family of nine through Texas Catholic Charities (2002-current). Activities include fieldtrips, teaching sports, art, cooking and involving the S.M.U. wellness students who receive credit for their required out of class experience portion of the Concepts of Wellness Course. Soupmobile: raising money for this homeless meal delivery program and dispensing the food (2003-2006) Meal on Wheels: delivering food to the clients through Highland Park Methodist Church(2000-2002). Joycelyn A.M. Peterson, (Dr.Joy) is a registered dietitian, presently professor and chair of Nutrition and Dietetics, Department and Dietetic Internship Director at Oakwood University, Huntsville, Alabama and was associate professor, chair of the Department of Family and Consumer Sciences at University of the Southern Caribbean (USC), Trinidad and Tobago, West Indies for over 5years. Her professional experience includes nutrition consultant, nutrition educator, public health speaker and in-service trainer for hospital staff and community agencies, program planner for international and state-wide public health nutrition initiatives, teaching and conducting research at the undergraduate and graduate levels. Grant writer receiving over $ 2 million from private funding. She is founder/director of the Vegetarian Institute of Nutrition and Culinary Arts (nonprofit) and Dimensions in Food and Nutrition, Inc. (for profit). She is a contributing writer for newspapers and health magazines and has also published three books and many articles. Dr. Peterson completed Nutrition and Dietetics degrees at New York Institute of Dietetics (A.S.), Oakwood University, B.S., Loma Linda University (M.P.H., Dr. P.H. ), and Johns Hopkins University (post-master’s studies in international nutrition). Joy recently had her dissertation for her doctoral thesis published in the Annuals of Nutrition Metabolism, August, 2011. She continues to conduct nutrition, health, and vegetarian cooking seminars internationally. Her long-term goal is to provide dietetic and nutrition research and leadership training where ever God leads. Genoveva Islas, MPH, directs Cultiva La Salud, which works to address poor nutrition and physical inactivity in the San Joaquin Valley by creating healthier environments. Genoveva has extensive experience in obesity and chronic disease prevention She has also managed health education and cultural and linguistic services in the medical managed care arena. She has instructed at the junior college level and lectured in the California State University system. Genoveva is the board chair of the Latino Coalition for a Healthy California and a board member of the California Food Policy Advocates, Community Water Center and California Institute for Rural Studies. She sits on the steering committee for California Convergence and advisory boards for various non-profit organizations. Genoveva was appointed, by Governor Brown, to the California Partnership for the San Joaquin Valley and to the California Health Benefit Exchange board. She received her master's degree in public health from Loma Linda University. Dr. Ramesh Ghimire is an economist at Atlanta Regional Commission. He has a Ph.D. in Environmental and Natural Resource Economics from the University of Georgia, USA and a M.S. in Development and Natural Resource Economics from the University of Life Sciences, Norway. He has published nearly 20 research papers in highly respected international peer reviewed journals, such as Ecological Economics, Journal of Agricultural and Resource Economics, Environment and Development Economics, World Development, and Water Resources Research. Dr. Ghimire is interested in understanding how natural resources and amenities help improve public health, human well-being and overall quality of human life. Oral B. Ospanov did his PG at University of Kazakhstan, later he worked as a surgeon at the hospital “MSC-10”, Omsk, Russia.Next he was worked as Associate Professor, Karaganda State Medical Academe, Karaganda, Kazakhstan.He was promoted and worked in different positions Chief scientific worker of the Department of the Surgery of National Research (Scientific) Medical Center of Kazakhstan, Astana, Kazakhstan and Chief scientific worker of the Department of the Surgery of National Research (Scientific) Medical Center of Kazakhstan, Astana, Kazakhstan.Finally he became President of Association of Endoscopic Surgery of Kazakhstan (AESK). 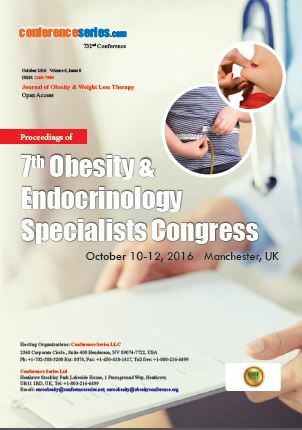 Endocrinology, Obesity surgery,laparoscopic operations (surgical procedure) of general and abdominal surgery. Dr. Hildegardes C. Dineros is a pioneer and leader in the field of Bariatric and Metabolic Surgery in the Philippines. He has been invited to speak and present his work both in the local and international community. His areas of expertise include Laparoscopic Bariatric Surgery, Laparoscopic Metabolic Surgery (treatment for Type 2 Diabetes), Advanced Laparoscopic Gastrointestinal Surgery, Aesthetic and Plastic Surgery, and Complex Wound Care. He takes care of both foreign and local patients and he has the most number of advanced bariatric surgery procedures in the country with remarkable success. Dr. Dineros is a Fellow of the American Society for Metabolic and Bariatric Surgery (ASMBS), Regular Member of the International Federation for the Surgery of Obesity (IFSO), and a Fellow of the American College of Surgeons (FACS), International College of Surgeons (FICS), Philippine College of Surgeons (FPCS), Endoscopic and Laparoscopic Society of Asia (ELSA) and Philippine Association of Laparoscopic and Endoscopic Surgeons (PALES). low Tone ho was completed his PG at B.S. National defense medical center medicine, later Doctor researcher in the University of Michigan. 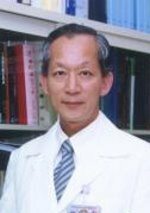 He was worked as Director of the department of internal medicine metabolism branch endocrine function in Taiwan.Later he was Adjunct professor in National defense medical center , Yang-Ming University and national Tsing Hua university, finally he became Dean of the Medical School in YM Taiwan. Hypertension, abnormal glucose tolerance, obesity, hypertriglyceridemia, low high-density cholesterol disease, often combined with hyperinsulinemia and insulin resistance phenomenon, this group always portfolio increased atherosclerosis and coronary heart disease incidence and mortality.